This PC was planned for a total of 2 months starting in November 2017. All the parts were ordered early January 2018 and the build was completed in mid to late January. This is my 1st PC build and it is mainly used as a gaming and schoolwork PC with some occasional editing. All the parts were heavily researched and I'll go over them. CPU: I went with the core i5 8600k because it's a 6 core 6 thread processor that is blazing fast. It is very good for gaming and editing and it's multicore performance is only beat by the 8700k. I also went with this processor because it is unlocked and ready for overclocking, so far I have only put it on turbo boost settings but in the future I plan to overclock. One of the main reasons is that it is easy to upgrade to the 8700k in the future if I ever need to. CPU Cooler: I went with the Masterliquid 240 because I knew that it would be plenty for cooling my 8600k while gaming and editing, and if I ever need to, it will be able to cool an 8700k if I upgrade. MOBO: I went with the ASRock Z370 Killer/Sli for multiple different reasons. One, it is capable of overclocking. Two, it is ATX and ha support for 2 graphics cards. Three, it is black, silver, and white to match my graphics card. And finally I got it for a good price. RAM: I went with the Corsair Vengeance RGB because of it's speed and reliability. My two 8GB sticks are rated at DDR4-3200 with a CAS latency of 16. They are also white to match my build and have customizable RGB. Storage: I went with the WD Blue 250GB SSD for affordable fast storage to put my frequently used desktop applications and operating system on. 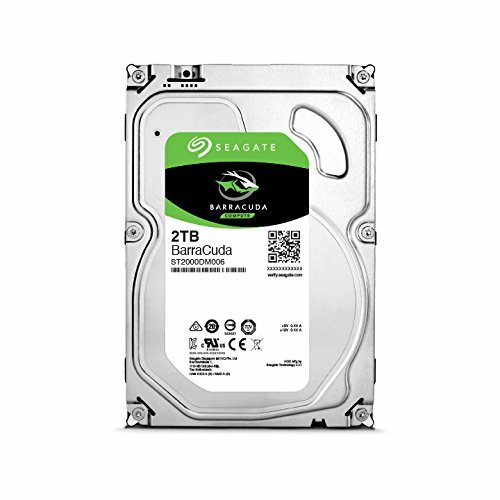 I also went with the Seagate Barracuda 2TB for mass storage for games, videos, and other apps. GPU: I went with the MSI DUKE 1070 ti because of it's power and style. Originally I was going to go with the MSI Gaming Z 1070 but when I saw the price I was skeptical. I kept looking around and I found the MSI DUKE 1070 ti for a relatively good price for the time and I snagged the last one. It's 8GB of GDDR5 is plenty enough for my gaming needs and because of GPU shortages I got it for a good price. It's color scheme matches my build and it's 3 fans help it look cool and stay cool. Case: I chose the View 27 because of it's price and looks. It's gull wing design makes it's look sharp and it also makes it easy to build in. It's price is really good for the quality and even though it is relatively old, it still has the features I need. 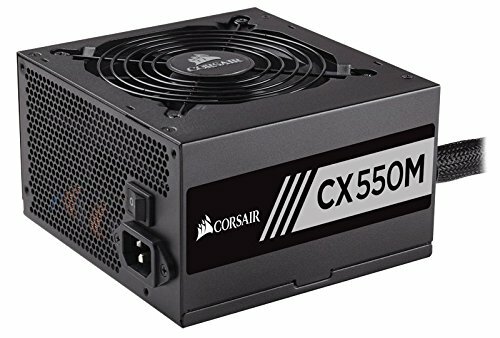 PSU: I went with the CX550M because of it's price at the time and it's wattage. It's a 550 watt power supply (making it plenty for my build) and it's 80 Plus Bronze rated making it pretty efficient. Also when I got it, it was only 24$. 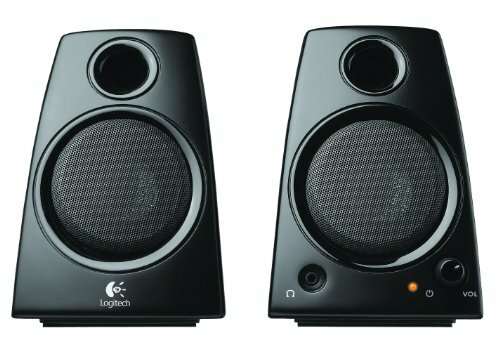 Monitor: I went with the Vg278Q because of it's ratings and it's refresh rate. It got 4 and a half star ratings on amazon and it's 144hz refresh rate. I know this PC is overkill for this monitor but I plan to get another monitor. I don't know if the monitor will be the same of different. Wi-Fi Adapter: My PC isn't next to a router so I chose this wireless adapter for Wi-Fi and it works great. Peripherals: I chose the Blue Snowball Ice for voiceovers and recordings because of it's price and looks and that's also the same reason I chose the Redragon Keyboard, Mouse, and mousepad bundle. I hope you enjoyed my summary and PC build. Thanks! It took a lot of time to build and setup so thanks for the nice feedback. Great setup but DUDE... Where did you get the $2000????? I am also 12 and just build my first build, which I can link you to (https://pcpartpicker.com/b/x9w6Mp). It totaled at less than $600, but I had to spend months looking for sales so that I could afford it. I envy you so much right now. My one suggestion would have been stick with a 1060 6gb and get yourself an i7 8700k. Otherwise, a great build! My parents supplied the money. I would've gone with the 1060 6GB but the prices on GTX 1060's right now are insane and the cards are very hard to get. I also edit the 4k video from my DJI Mavic Pro so the extra 2GB over the 1060 really help. how in the world did you convince your parents to just hand over $2000? and get you a $1000 drone? i worked full time 5 days a week for 2 summers and i made 800 but my job was kinda benefiting me and my boss so it was like trading lol. Juicy build tho thumbs up for crispy build. Looks like a great set up. Love that case window, well done. I agree but that was the only way my mom would let me build it. No matter how old you are that's a cool build. Hey! Does a game like Fortnite run well? I don't know, just a weird question. Most mid tier cards from 1050ti and upwards will easily run Fortnite. It's a pretty well optimized game and isn't as graphically intensive as other FPS games such as PUBG etc. Nice build dude, but nobody cares if you're 112 or 12. If I had a set-up similar to this when I was 12 I'd have never left my room :). Nice cable management under the desk. Thanks, I was originally going to drill holes into my desk for a sigma rack but since I’m moving soon and It’s a custom desk I decided not to. The only problem I have is with the USB WIFI adapter. Get a PCIE one as (in my opinion) they look and perform better. Overall Nice build. Thanks, I might upgrade to a PCIE for faster gaming and download time. Much better than what I built when I was 12. What was your build like? Click on my profile, and then go to "completed builds". It should be there. Lol I'm in the same situation as you! My parents will only let me get if it's for school and gaming (I'm 13). I also have the budget of around $2,000, and it's my first build. Can you tell me the fps and just how good it is for everything? I still don't get how all of these 12-13 year olds are building $2000 rigs. I just build my first PC for $600, and I literally have less than $20 left. Do you guys not have to pay for your own builds? I don't have a computer at all, and this will last for a while. Lol no problem. That is a nice way to make money. Unfortunately, I'm not a boy scout. Congratulations, though! I play on a 1080p 144hz monitor and on ultra settings this PC is a beast. On some less graphically intensive games like fortnite, I am getting 90 fps and above. When I turn on OBS studio my fps drops to 80 and above but the performance change is not drastic. In some less optimized more graphically intensive games like PUBG, my PC averages around 70-80 fps on ultra settings at 1080p. If you are at the 2,000$ price point for just the PC I would get a nicer MOBO and upgrade to the 8700k but everything else is really good. Hey I am just confused with your fps, and I just built a similar computer to you. I have an i5-8600k and a strix 1060 6gb and I am getting 80-90 fps on fortnite. You may need to try overclocking your gpu as it seems to be underpreforming. I will be upgrading to a 1070 ti as my dad has 2 of the same monitors as you do and will upgrade his and give his to me. Awesome build dude. It’s nice to know that people around my age (15) actually know their stuff. I have a question though for your 4K editing how does your gpu perform. I have to constantly edit in 4K because I am part of the biggest photography company in my state. I was going to go with the Asus Strix 1080, but I don’t want to pay that much at the moment. Also on the view 27 I’m impressed by the pictures that I did not see to many scratches on the acrylic. Thumbs up for that. Good job dude hope to see you build more. Have fun with it my dude, this a good build for sure. Hey, are those fans in the front on intake or exhaust? Nice build +1, Quick q. Can you tell me the background on your pc?? This is a pretty good build. I’m also 12 and using the power of Black Friday, I’m trying to make a $1,500 build into a $1200 one. I’m going to use the duke too, but I can get it for around $360. And to anyone questioning where I got my money, I’ve been saving for over a year. The build that I’m getting would cost around what you were getting it for last year, I got pretty lucky. When I complete my build in December, I’ll probably update this. Awesome, I wanted to get better deals around Black Friday but my dads work only gives him money for one month in january so I found the best deals I could. sorry for the boring question but what color is the led on the gpu and can you turn it off??? You can turn it off and the light is addressable through mystic light. Nice build. I have one question. How is the liquid cooler holding up? I'm planning on getting the same one but I don't know if I will regret it. Overall, it's a very nice and pleasing computer build!